Game Chat Leagues and GCL Phoenix itself, click the links earlier in this sentence. Members are encouraged to add an item to the list and we appreciate comments, discussion and thumbs from visitors and passers-by. I've been out of 'proper' job for some time - a career 'travel sabbatical' followed by baby break straight into a PhD means I've not had a full time office job for some years. While this has been a brilliant and privileged experience, I do sometimes miss the structure of a work environment and interaction with colleagues. Reflecting on this it seems that my weekly gaming session provides one of the few regular structures in my generally unstructured life. Further, I sometimes find the in-game structures provide by rules and the sequence of turns and the short term achievable goals oddly comforting. 1) What influence, if any, has your working environment had upon your gaming experience? 2) What is your emotional response to game structures - perhaps the order of the in-game world grants a psychological crutch or a useful vehicle for engaging in social interactions; or maybe the imposed artificial structure of a game inhibits and constrains rather than enables? 3) Thinking about gamification (a buzz word which seemed to surface a few years ago) as (presumably) a lover of games, would you wish your life and/or work was more like a game, what might that look like? We don't seem to have a lot of time or energy these days to learn new games but I've been fancying learning one or our un-played meatier titles for some time. We laid out Through the Ages last week and played through the basic game. This wasn't a great success. I'm very familiar with the near-flawless online implementation and in comparison the real life version seems slow, fiddly and too much like work. I've twice bought traded away and re-acquired, I think its going to go on the trade list again. So instead we turned to Labyrinth: The War on Terror which I bought back in March. This is now set up on our dining room table and we're half-way through the play-by-play. We're big fans of Twilight Struggle, and while S is clamouring for more games I'm getting a little bored of it. I'm hoping this will provide a decent alternative. Sometimes I feel like there is an unconscious time investment - reward curve which influences whether I have the impetus to learn new games. Does learning or playing games ever feel like too much like hard work? S. suggested trying Hanabi again last night. This was probably a mistake as we were both tired and a tad fractious and were not picking up on the other's signals at all. We decided that our play-styles were irreconcilable but could not convince the other to adopt the other. We scooped up the first game without scoring after only ten plays or so. The second game lasted much longer but we failed to draw a 1 until over half way through the pack which significantly stifled progress. We had a third abortive attempt, which ended on the realisation we were too tired to remember the simplest information. Despite this frustrating experience I appreciate the design of the game, and am restless to try it again. Might go to the Friday night Magic tourney tomorrow. It is Standard format which didn't go great last time. I've completely changed my deck from fast Aggro (an aggressive creature based deck) to counter-burn control, a deck with few creatures but lots of counter spells and spells which kill opposing creatures or deal damage directly to the opponent. I'm missing a few crucial cards but others have generously offered to lend them. _9_ Magic the gathering x 7. Made it to FNM and the deck performed pretty well. I went 3-1 (beating mono-green ramp and slivers, losing to green/white hexproof midrange) my last win was a bye which was annoying as scoring was very linear at the end and second-sixth was based on opponent win %. As mine had dropped I only made sixth. This was enough for a booster and a promo though, and I continue to trade my old stuff for new which is a bonus. Everyone very friendly again - thinking of putting together a competitive deck rather than the janky one I'm running, but that might take some of the fun out of it. In non-game news I passed my first year viva relatively unscathed so if all goes to plan only another two years to go. Big relief. Burster of Bubbles, Destroyer of Dreams. Yes, I know a proper 18XX tile should have a tile number. After my first play of Spyrium a few weeks ago I desperately wanted to play again and build a tableau that worked more cohesively. Saturday I pulled that off. Maybe just luck, I don't know, but it was truly gratifying to avoid all the traps I fell into in my first play. 18MEX 3p. Me, JC, Dayton. I managed to go bankrupt by just a few dollars. MediciMe (first play), Dave, Kevin, JC, Brian. "The zebra stripes are grain." Stuff like that. The cards weren't even language-independent to make up for it -- the names of the commodities were there in faint spidery script. Note to graphic designers: I like pretty cards and boards, nice pictures and fonts, but if players can't tell things apart, you have failed. In any case, this is a simple classic auction game: build a set of 1-3 cards, once around auction, pass the deck. As the game progresses players commit to various tracks, though one of the two scoring axes is tabula rasa each round. I think the top 4 players were within 6 or 7 points; JC won by one point. We only had one city come out early enough (turn 2) to be of any use. Brian got it and won. Hm. The title of the game lies, though. Allow 15 minutes to play this. Power Grid: The Robots 4p/5p Even after all these plays we still put together robots with unfamiliar bits. In this case it was a robot that builds cities under the direction of the last-place human player. Now, in this case, it was a particularly incompetent robot -- playing with the green deck, it got #15 as its starting plant (3 coal for 3 cities) and spent most of the early game buying so much coal it couldn't afford cities. We played with a mutant deck -- the green deck + the big cards for a longer game + 46 and 50 from the base deck. (40-city map, 8 cities for Step 2, 18 for endgame). 7 Wonders: Wonder Pack 7p. 7p - me, Erich, Ted, John, Dave P., Dave's son N., Rich. I walked into BAP and the 5 people were sitting down to a game of 7 Wonders. Sure, I'll join this player-summoning game -- it's fast, simple, clean. Um, no. We had all the expansions in play, Leaders, Guilds, Cities, expansion wonder packs, and a constant flow of passing the various pieces of rules to explain odd symbols on cards. ("Your leader is explained in the Leaders rulesbook -- unless it's a leader from the Cities set, then it's explained there.") It was a horrid mess. I didn't even bother playing my third leader because I'd misinterpreted the symbol and it was useless to me -- especially bad because I'd tuned my early game for a nonexistent bonus. The new cards and wonders that extort money from other players were particularly damaging to game flow, both because they add a negative note to what had been a mostly constructive game, and because the drain of money interferes with your ability to plan ahead. The game dragged and floundered. Not fun at all, not something I'd inflict on new gamers. Oh, yeah, I won (tied.) By that point I was just happy the game was over. Saint Petersburg: New Society & Banquet Expansion 4p. Me, Rich, Ted, N.
I got "stuck with" a New Farmer (the most expensive of the money-generating workers, but gives 1 VP every turn) on the first turn, was hurting for money for a while, but ended up with 5 New Farmers and 9 unique nobles for a decisive win. After my first play of this I really wanted to play again and build better synergies. Mission accomplished! The Patent (green tech card) on workerless mining. The patent on double-tapping one card per round. Yeah, 30 VP from one card on the last turn. I played one meeple onto the board, snagged the factory, and internalized. Ginkgopolis 3p. Me (second play), Dave E., Rich. After getting crushed so badly (around 75-48-26) I... immediately suggested that we play it again. Agricola: All Creatures Big and Small 2p. Me (first play), Rich. At the beginning it was frustrating not being able to get the resources to do what I wanted, but with the help of the wild boar pen I at least started breeding hogs. In the end I only lost by 2 points, if I'd have gotten a fourth horse I would have won, but it wasn't a game that made me want to play again to do better. 5-player Terra Mystica where I lost by 1 point (90-89) as the Fakirs to the Witches. I was surprised to finish 3rd in contiguous buildings to the Dwarves and Giants. It's been 6 months since our last game of this weird little gem. I ended up tying for the win in this 5-player session. My neighbor got this for his birthday, and also had the 5th player promo for it, so played with 5. It's very much an Ameritrash-type of game, sort of feels like a Flying Frog title. You're flying from place to place, hiring crew, buying gear and getting jobs. If you complete your job, you get money and have to pay your crew. You're also trying to avoid the Alliance and the Reavers. To win the game, you must complete jobs for 2 different contacts (such as Nishka, Badger, Patience, etc), amass $6,000 and fly to a specific spot on the map. Another player did this a turn or 2 before I was going to be able to. There's a lot of dice rolling and luck of the card draw, though this is mitigated by being able to sift through the discard pile in addition to seeing cards off the top of the decks. Jobs are usually transporting cargo, passengers and/or contraband to a specific location. Jobs can also involve drawing and resolving cards from a deck which usually requires skill checks - there are done by rolling a d6 and adding any matching skill points from your crew and/or captain. I'm a big Firefly fan, so it was cute seeing all of the images and characters from the show, but the game itself holds little interest for me. Kat and I had time for a game this afternoon and went with Viticulture. She started with a card that gave let her trade 3VP-->$9, and she immediately bought a tasting room (+1VP when giving vineyard tours). I, meanwhile, had trouble drumming up cash. Kat won 25-22. After Viticulture, Kat and I got in a quick game of Bruges. She admitted that she isn't too crazy about this one, and said she much prefers Bora Bora. She then beat the hell from me 58-41. We always have time for the things we put first. 5 plays of The City last week, and one play of Simply Catan. "Oak and iron guard me well, or else I'm dead and doomed to hell." - Andal proverb. Not much to report other than I'm playing a lot of Seasons with my friend on BGA. I stopped playing digitally when the physical expansion was released because they only had 10 of the 20 new cards from the expansion implemented on BGA. Not that long ago, they implemented the other 10. We're still missing the OPG's and Enchantment cards but having all of the power cards is good. Powers:Coleridge:Milton: Faith...must be, if anything, a clear-eyed recognition of the patterns and tendencies, to be found in every piece of the world's fabric, which are the lineaments of God. That's Tim Powers' fictional Samuel Coleridge "quoting" John Milton in _The Anubis Gates_. 7/28/351 plays of 6/17/167 total games, with 5/7/36 expansions employed. Plays with 11/29/93 distinct opponents. Orders for 6 games and 1 expansions still outstanding. 2x _9_ Through the Ages: A Story of Civilization - Last Sunday, and again yesterday after BAP. Two dramatically different games, though both a good deal of fun. The first saw me have the larger military (and threaten with the occasional brown card); the second saw him develop a much more significant military force than I and win on the strength of a couple well-timed wars. Both of us aren't very good; but I think we're improving. 1x _7_ Mosaix - TtA and Mosaix are almost the same weight, right? It was strange: nine days ago I would have said son #2 generally preferred shorter, more abstract, simpler fare. But his ratings for this pair of games mirrored mine: Mosaix is cool, but ultimately pretty trivial. 1x _7.7_ Greed Incorporated New! - Thematically marvelous, and yet a bit procedurally dubious. (Only a bit, mind you; I think I'm coming to a greater benefit-of-the-doubt aimed toward that Splotter crew than I might have held historically. Today, I'm inclined to believe that any failings we saw in the game are partly that we just didn't play very well. The difficulty happens if it takes more games to figure out how to identify the significant fulcrums on which the game state twists than we're willing to spend in playing badly!) In the end, it seemed at least slightly reminiscent of our (excellent) game of Princes of the Renaissance last week: Machiavellian & capricious, yet with many opportunities for cleverness. I'll hope to play again; and (at least for the moment) shouldn't have too much trouble with that, since my two opponents enjoyed the experience. 1x _8.5_ Bus - Quite a delightful thing. It took a bit longer for me to explain than I should have; but at least we got the rules right. It was a strange game: primarily constructive (we generally tried to maximize our scores, rather than minimizing our opponents'; I think a bit more of the latter - which is closer to the way previous games have gone - would have ended up with a slightly more compelling game.) I'd love to try this with 5, I think: my last few plays have been with 3, and it'd be interesting to see a different set of mutations. 1x _6_ 7 Wonders (with Cities, Leaders, and Lost Wonders) - You've already heard Aliza's grumpiness with this one. I was roughly equally impressed as she - except that I also finished well off the pace. While the game is amusing in principle, the iconography isn't particularly clear for me: I end up needing to look up far too many cards in the manual if I want to play well, or to just ignore the cards I don't understand (what happened in this instance; leading to some rather spectacularly bad decisions) if I don't care. Since this game spent more time in the "getting ready to play" stage than I thought it deserved for its entire play time, I fear I was increasingly making decisions for their speed, rather than for their in-game utility as time went by. I might have done better to sit out - except for the fact that son #2 thought the game was Completely Delightful. 1x _7.3_ High Frontier (31 months dusty; with High Frontier Expansion and Colonization - both New!) - It'd been a while since I'd played the base game; and this one added not one but two new expansions to a game that I'd found quite difficult back when I remembered how to play. So I found myself only gradually understanding the synergies that were required between the various cards; belatedly discovering that I'd previously played a more onerous variant than actually specified by the rules (We - historically and incorrectly - added the water used for fuel to the weight of any spacecraft. So a 1-weight autonomous robonaut plus four units of water would weigh 5. So some of my initial setup optimizations weren't; and it took a while to reset my plans to the correct set of constraints. ); and only by observing my opponents actions was able to spin up some vague semblance of a plan. As a result, I wasn't remotely a contender. It was a bid sad, actually: I'd not expected to be competitive, but I still finished a good deal farther off the pace than I'd imagined when the game began. Ok; whining aside. The game was very cool. And the new rules are great. And my colleagues in this play were excellent (and I hope I didn't irritate them to much by my lack of traction.) The game is still hard, though. And I'm not very good at it. 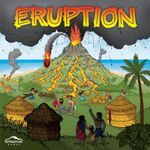 Owned-and-unplayed: 10 (+0/-1) Greed Incorporated finally to the table - after three and half years on the shelf. Outlook for the week: Hopefully more Through the Ages: A Story of Civilization with son #2; gaming on Wednesday; more games on Friday. Perhaps daughter #1 might have a bit of time between homework assignments to play something too. The start of the week saw two plays of Pathfinder Adventure with a new character, the monk. One was a two player game with just S and I, and the other was a three-player with S, P and I. The first, we won; the second, we just ran out of time. I'm not convinced that this is a better game than The Lord of the Rings: The Card Game. Indeed, the best thing going for it is that your character evolves as you play. I do confess that if this game was in Middle Earth and not whatever the generic D&D world that the "Runelords" live in, I might enjoy it more. Yedo, in spite of my humbling defeats at the hands of my wife, gets a little bit better with each play. There's nothing particularly revolutionary about the game. Collect sets of various things and activate rewards by placing workers in various locations which can be blocked by other players or by a Caylus "provost" like guard. I don't even find the theme that immersive - in fact, sometimes I find the flavour text is comical in a "spaghetti samurai" kind of way. 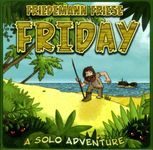 The last thing about the week I'll mention is, the almost complete lack of interest I paid to Essen Spiel. Other than reading Ben's accounts at Opinionated Gamers, I watched a bit of the live feed (not live) on Madeira. And that's it. Might get Bruges to the table if I can get around to reading the rules. My daughter and oldest son joined me for Gonzaga. She ended with 84 with a little help from me, while I had 82 and my son 79. The next day my daughter and I tried it by ourselves and this time she got the Gonzaga bonus but I countered with more harbor bonuses to win 90 to 83. The good news is she understands how the game works, especially in that cards you use in one round can't be used the next. She understands how the scoring works. She has trouble determining the best ways to score, especially for the end goals, as the bonus for having all six of your cities (as they are scattered across the map) works against the Gonzaga bonus for having the most connected pieces. She occasionally gets slightly, very slightly frustrated in not being able to do what she wants, in the manner I think the game encourages. Unlike her brothers she does ask for help from time to time and I give it to her. I'll probably work at doing Ticket to Ride with her more soon as my wife likes that and will join us, but I think Gonzaga is a more interesting game than TtR. Ignoring secret goals doesn't score negative points unlike TtR, there's no card drawing other than the random selection of which piece will be placed this turn, the blocking is more direct but also can be worked around a bit more with the rings, and I do like the simultaneous card selection with keeping cards out from the previous round. It also scales well between 2, 3, and 4 players. Two games with my oldest son who is learning German so I can count this as part of his homework. In the first game, he caught up and passed my early lead to win 60 to 56. In the second game I again scored 56 but I did it quicker and he only had 18 points scrambled together. Three games the next day with both boys. My youngest son won the first round 77 to his brother's 52 points and my own 41. This ran a round longer than it should have because in the previous round my youngest son was at 49 points just shy of the end game condition, but the extra round didn't help the rest of us. I won the second round 59 to oldest son's 30 and youngest son's 25. My youngest son won the day in the third round with his second victory of 64 to my 44 and his brother's 40 points. My youngest daughter loves this game. I often take an extremely risky strategy just to try to entertain myself and the kids get a kick when Hugo catches all my people. The girls usually play ultra conservative...and win. This session played out the same with oldest daughter winning twice and the youngest once. Hugo! Hugo! Hugo! This one is quickly turning into a family favorite. This was the first time all 4 of us played it together. We had to deal with a bit of hurt feelings as the nasty nature of the game got to my oldest daughter just a bit. I was highly amused to be able to pass the turn to my wife on two different occasions in which it allowed her to screw over both our daughters. She was aghast, "DJ! I can't believe you're making me do this!" After the kids went to bed, I managed to talk Tori into a learning game of Palaces. We played the basic game and used the player screens. I focused too much (again!) on getting money while Tori snarfed up VP during the game. She was up big on VP and pushed the end of the game before I could really start using all the money I had accumulated. She crushed me big time and promptly declared, "It's a fun little game." This bodes well. Tori granted me a rematch this morning over coffee. We again played just the basic game and used the player screens. This time I did a better job of balancing between money and VP so that I didn't dig myself such a big hole to climb out of with end game scoring. Look at me learn! Tori was still slightly ahead in points and was set to score big again. However, she failed to see that I could end the game on my turn. I did just that and managed to cruise to a rather convincing win. Sweet revenge. Tori was less impressed and unleashed a few choice swear words at me. Tom has told me in the past that this is how wives flirt. Tom is wise so this must be true. After getting some winter prep work done outside in the afternoon, we had time to get in a couple of quick games of Flowerfall with the girls. Such a silly little game. My youngest won both games and I honestly don't think she put hardly any thought at all into her play. We dropped my youngest off at a Halloween party and went out for dinner with my oldest daughter at a new local Italian restaurant. Gaming in public! Tori won the first 2 games and I took the final one. My daughter was distracted by a calzone the size of a football. A visit to my parents in the afternoon and we got a few games in. A special treat as at the table we had myself, Tori, my mom and my youngest daughter. My daughter was excited to teach her Grandma the new game she had just learned the prior day. I think everyone got more pleasure from simply trying to cover all my cards rather than actually trying to compete against each other and win. Still good for some laughs and a good time. Mom would rank this as her #1 game. She certainly isn't a gamer by any stretch but she can't resist the push your luck aspect of this one. She was eager to teach this one to my daughter and get a few plays in. To end the day we taught mom this new one. Again it turned out to be a bit of a team game against me. I played it up crying and complaining the whole time much to the amusement of my family. This game just continues to deliver for me. A hit with everyone I've played it with. I've gushed enough about this one already I'm sure. As mentioned last week, my copy of the first expansion adventure pack arrived for the Pathfinder Adventure Card Game. We finished off the last scenario of the pack included in the base game and began the second pack. Though there weren't a proportionally large number of cards added, they showed up often enough to provide fresh interesting things to the game. One of the named Henchmen in the new scenario had a fun and interesting ability, as well. The flop of the cards, however, ensured both scenarios were easier than usual so there was little tension in this play session. Lots of Pandemic happened this weekend, all on iPad and all sitting on the couch with the gf. We had many, many losses and she wouldn't give up until we won. The luck we had in Pathfinder was taken out of our hides by Pandemic. We finally got a win on the seventh attempt. Among the variety of other fun games, the highlight was Wiz-War. My third play of the new version was epic with me and the blue player slugging back and forth near the end. Each of us was one turn away from victory three times and the other always had a spell or two to slow down the other. While we were duking it out, the green player drew a combo he needed to surprise us with a quick treasure grab and steal the game. Epic fun. 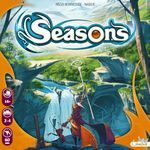 Early Essen: besides Ben's wonderful blog, I wonder what sort of early Essen feedback you all have. For example, I tend to look for early game comments and try to triangulate a bit. Such as those for S-Evolution (the trick taking civ game) which certainly sounds like it's a bomb, especially Juho's comment. Do any of you have some early readings on games? _7_ Field of Glory: The Card Game New! _7_ Mush! Mush! : Snow Tails 2 New! 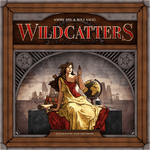 I'm almost certainly being generous to Wildcatters. It was a good game - my favorite of the show - but it is not without its flaws. It has some very interesting incentive-based board play, with a lot of tough tactical decisions. But is ultimately just 13 majority games (first and second place), and it's not always easy to track where people stand in their majorities. It was also just a bit fiddly component-wise, with little oil barrels that seem prone to rolling everywhere. I see some potential in Field of Glory: The Card Game, but it's one of those games that needs a number of plays before I know what to do with it. Yunnan is pretty good. I'm down on it only because I still don't see a lot of replay value. There's a number of fun tactical decisions, but it will be the same handful of decisions each game, right? Right now, Prosperity feels a little half-baked. All of the actions/scorings feel so equivalent, you really just spin your wheels. This turn, I'll gain some money but take pollution. Next turn, I'll pay the money to get rid of the pollution. Concept is a fun activity. I question whether there's a game at the bottom, though. Not sure I could imagine actually keeping score. I'm sure I have more to say. Just ask. I didn't know what to do with my UberBadge, so I left it as a GeekBadge. A few fun sessions last week. I taught Medici to three new players, two of whom ended up coming first and second. I took too many risks in the last round and the winner was the beneficiary of some strange (lack of) bidding, getting biggest shipment in all three rounds. Die Saulen von Venedig is a light role selection, double-think game with some nice pieces that has always worked well with new gamers, despite the German language cards. We have some cheat sheets and it doesn't take long to pick up on what all the action cards do. The ending came quickly and left a couple of players surprised and deflated. You stop mid-turn if the pillars run out and they're supposed to be hidden in a bag so nobody knows exactly how many are in there. I'm no proponent of revealing information the rules specify should be hidden, but in this case I don't think having hidden pillars adds much to the game. It's already unpredictable as to when the game will end because you don't know which action cards the other players are going to pick. 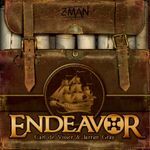 It was great to get Endeavour back to the table. D fought the good fight and abolished slavery, ruining Matt's economy. I had a few slavery cards too but had planned for their freedom, so it was a stumbling block for me, but not insurmountable. I like the streamlined tech tree here, the variety on offer and the delicious timing choices. It was also good to win by a single point, despite the 2VP penalty for being a nasty old slaver. I played Space Alert with an experienced crew, running through eight successful missions in a row. (The New Frontier's experience system provides the "just one more game" factor.) Later in the week, Kate and I tried playing two-player with double actions. Even on the easiest setting, it was so confusing juggling the extra actions, extra threats and two android players that it took us five games before we survived a mission. I'll have to try and convince Simon and Jake to give double actions a go next time we play, as I think it would be easier to survive with real players rather than androids. You can get so much more done with the double action cards, and there's potential for gaining some of the trickier Achievements that way, but I got the impression that luck of the draw applied more often than with the base cards. There were times when I just wanted to press A and fire a gun, but all my cards with A on them combined the action with something else, usually detrimental, like running off to a different corner of the space ship first. I spent much of the weekend experiencing Essen vicariously through reports and the live video stream, wishing I’d made the trip in person. Most of Sunday involved checking and re-checking online store websites to see when they'd update with the new Essen games. The three I was most interested in grabbing quickly were Glass Road, Russian Railroads and Nations. Inevitably, none of the sites I was watching had brought any of those back from Germany. Apparently Z-Man weren't selling to shops; not sure what the excuse was for Nations. I've now ordered Nations from Finland and Russian Railroads from Amazon.de. I couldn't find anywhere to get Glass Road in English, and there's just enough text on the pieces that I don't want a foreign-language version. The shops all seemed to bring back the Czech Games Edition games, which normally I'd be thrilled about, but this year I found to be uninteresting. I'd already played and dismissed Tash-Kalar, and then there were expansions for games that rarely get to the table (Dungeon Petz, Last Will). I did put an order in for the new Galaxy Trucker ships, as that is still a favourite. I decided to take a chance on Concordia, given that it was getting good reviews and I'd watched the passable live demo for it. Some of the videos allowed me to cross games off my list: Steam Park, City Council, Citrus, Yunnan. I almost wish I hadn't watched the Japon Brand demos because now there are two or three sold out and impossible to find games on my wishlist! (Say Bye to the Villains, Sail to India and Machi Koro). This week turned out to be awesome in terms of gaming. We played a few games with the kids and I got a group going at Uni, which seems to be strong. Time will tell if it can keep going. This is a fun set collection game. We played the landlubber version. The full version makes for a lot more fun. A dig this game and I enjoy it a great deal. This was a rout. Looking forward to getting the expansion, which seems to add a lot to the game. Eagerly anticipated and fun. I am still unsure about the game itself. Did we get a sense of building up Canterbury? Is there room for clever play or... More plays will tell. It did take a while (105 minutes) though I am sure we can get that down with experience. An introduction, playing in 3 teams of 2 to get a feel for it. Then splitting into ones and playing 5 man. It is always enjoyable, though also long if you are knocked out early. This was pure evil with 6 players and there was a lot of trash-talk and people trying to sway other people. A lot of laughs and people really enjoyed themselves. Another 3 plays with 3 and 1 with 4 - and 4 wins for me. 4 player games as warm-up to a concert and party. When played with grown-ups who play to mess with each other it is great fun. Uni is still awesome. Life is good in general and gaming is coming left, right and center. I have not really followed the Spiel show as I have been too busy and there are not really any games that are tempting me. That is a good thing.